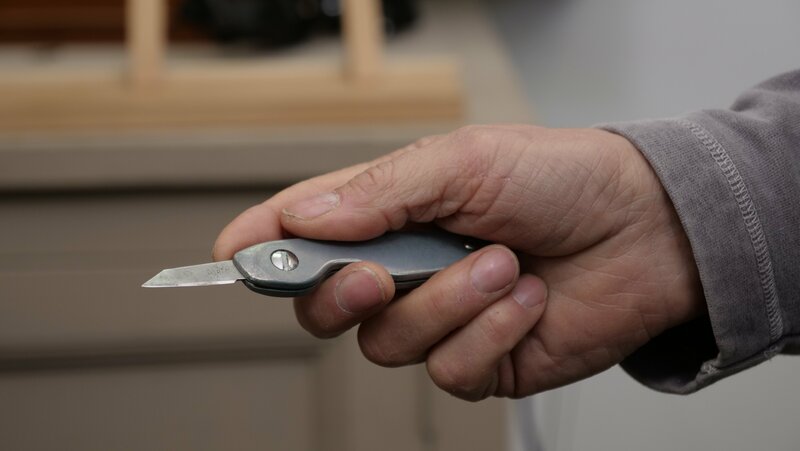 You hold the knife by gripping around the handle, rest your thumb on the side and use your index finger to apply pressure to the top of the handle, this will allow you to vary the pressure, and therefore the depth of the cut and maintain firm control of the knife. This is made easier when you have a shorter handle. 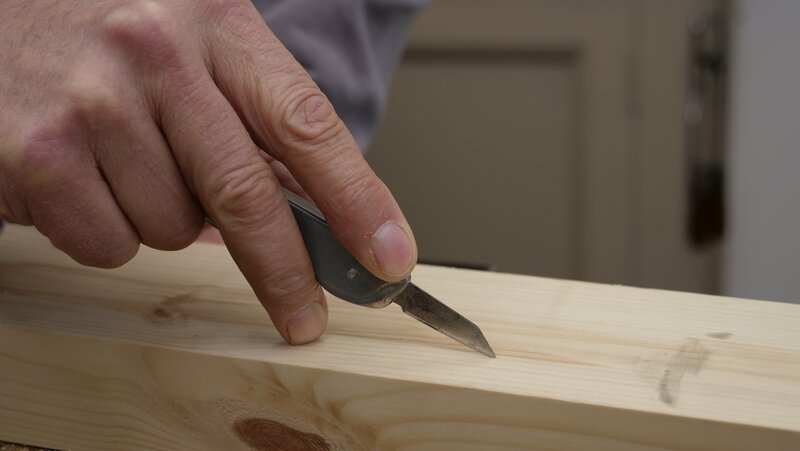 When using the knife it is almost always used against a straight edge for guidance and precision. 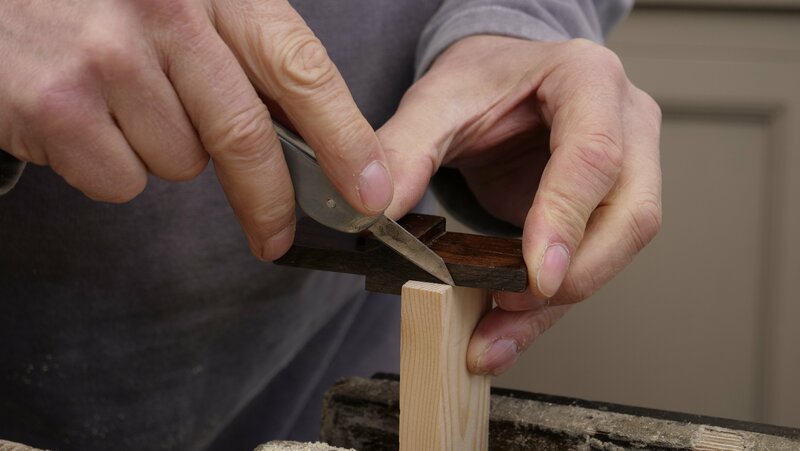 This is most commonly the square, however it can be anything solid with a smooth edge. When you are creating a line with a knife the first pass should be taken very lightly and carefully. 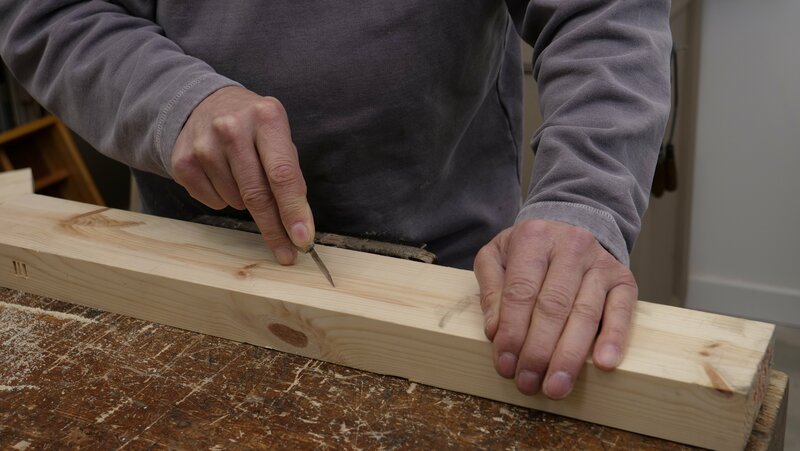 Both the grain of the wood and excess pressure can lead to the knife moving slightly from the intended course. After the initial pass, a heavier second and third pass can be made to deepen the cut. Use your dominant hand to grip around the handle using your thumb and index finger to point forward. 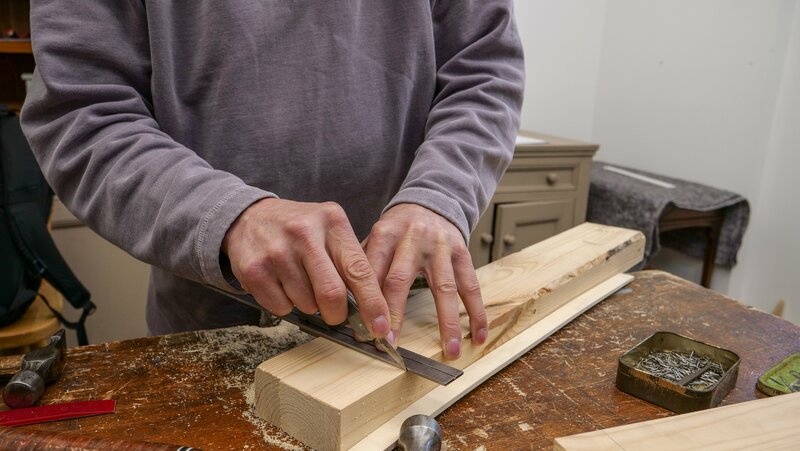 Lightly press down on the top of the blade on the first pass and then press firmly on the second pass with the knife to ensure you have severed through the wood fibres. You can use this if you are confident enough controlling the knife.